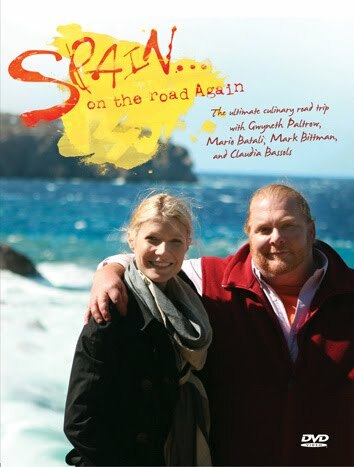 Spain On the Road Again is a television series staring Mario Batali (US Chef Extraordinaire), Gwyneth Paltrow (Hollywood legend), Mark Bittmen (US Food Writer) and Claudia Bassols (Spanish actress). 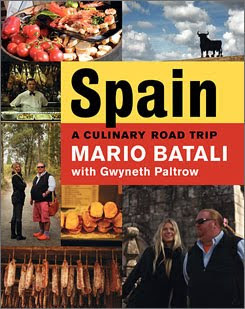 The show follows the Fabulous Four on a culinary road trip all through Spain. The show is fascinating, fun and informative highlighting Spain's cuisine, culture and art! I adore Spanish food and the country itself is beautiful. The show is a fabulous tour encompassing it all. The DVD of the show is now out in stores, or you can buy episodes on ITUNES if you wanted to only watch a few! The reason I first heard about the show was because my mother gave me the cookbook based off of the recipes from the show. It is awesome - truly showcasing Spain's culinary delights! A perfect gift for anyone - a great coffee table read as well! Here is the teaser trailer for episode one of the culinary ride! Watch it and I guarantee you will want to see more! 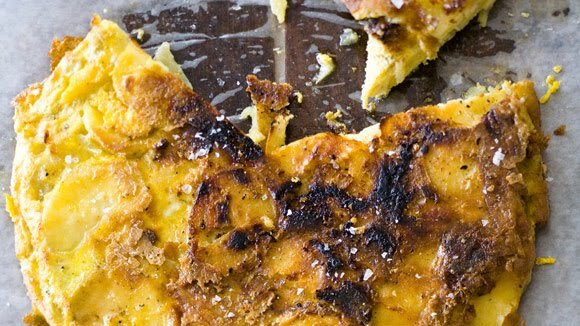 The website for the show also gives a few of their favourite recipes, here is one of my ultimate favourites, TORTILLA ESPANOLA - their way. 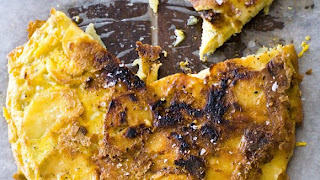 Tortilla Española is essentially the national dish of Spain. You can eat it as a tapa, for breakfast, in a bocadillo (sandwich), or for dinner with salad and a bit of jamón (ham). Basically anytime, anywhere. We had a great one at Valdubón and I think it’s because they weren’t afraid to use A LOT of olive oil. No fear!